The Apple Watch is expensive. Android Wear is banned. And Xiaomi hasn't built a smartwatch yet. There was a colossal gap in China for a premium-looking, affordable smartwatch from a company that knows what Chinese early adopters want and how they will wear it. The Ticwatch is that watch. How do we know? 16,000 backers on e-commerce and crowdfunding site JD.com just raised over RMB 8 million ($1.3 million) for Mobvoi, the startup that built the $160 smartwatch, that's how. Consider the task of building an all-Chinese smartwatch and you might think of Lenovo (and its acquisition Motorola), Xiaomi or the increasing presence of Apple with the Watch now on sale. But it is voice search developer Mobvoi who has taken up the challenge. Instead of attempting to localise an international smartwatch and failing, Mobvoi has started local and is building a smartwatch around what it does best. Founded in 2012, the company developed Chumen Wenwen, a voice recognition and search service used by the popular messaging app WeChat as well as Google Glass and Dianping, a Yelp-like service in China. Beijing-based Mobvoi is no tiny startup either, its latest round of funding in February 2014 raised $10 million. Google is trying to provide voice search and voice controls for every language on the planet but Mobvoi is already ahead in China. Chumen Wenwen's algorithms are very accurate, even when dealing with multiple Chinese dialects and unlike competitors, it has the social and cultural context of its users built-in. "The world's full Chinese user interface on smartwatches, Chinese intelligent voice interaction, and rich, intimate localization services." That's what Mobvoi is focusing on - natural language, neural networks, AI. Both its CEO Zhifei Li and CTO Xin Lei, worked in translation and language processing at Google before creating the Chinese Siri, Chumen Wenwen. The localisation goes beyond voice controls. Over 30,000 people have already downloaded Ticwear, the free OS which will be used on the Ticwatch, onto devices such as the Moto 360 and the LG G Watch R. And Ticwear comes with customised versions of big Chinese apps and services that young people actually use including WeChat, Weibo, Dianping, Sochou Maps, Didi Dache, AutoNavi and Toutiao. Back in April, Mobvoi held a 24 hour hackathon in the scenic village of Wuling Shanzhuang where Chinese, often ex-Google, programmers competed to build Ticwear apps from air pollution alerts for citydwellers to glowstick-like watchfaces that light up in the dark. In short, the Ticwatch isn't just Made in PRC, it's a smartwatch built for China. For its all-Chinese smartwatch, Mobvoi enlisted the help of Frog's Shanghai studio, a partnership which came about as a Mobvoi exec had worked with Frog on a previous AR smartglasses project. It wasn't a case of esteemed Western industrial design meets Chinese software, Frog carried out some intensive market research over a two week period. "Our brand actually goes a really long way in China," Rainer Wessler, executive creative director at Frog told Wareable. "I am from Europe and I really like music, I live for that. In China, entrepreneurs are rock stars. A lot of the locals really aspire to people who take risks and build something that gets the attention of China but ideally of the international market too." The Frog team learned that Mobvoi's young target market in China approached smartwatches in a much more "idiosyncratic" way than the makers of the iconic international smartwatches we've seen so far would lead us to believe. "They seemed to be buying less to be 'seen' or to project status or to communicate upwards social mobility," said Wessler. "It was much more idiosyncratic and more for 'myself'. So people really wanted it to look like a classic watch. The interactions and the information gained from it and the way that you play with it, it's a more personal interaction. Toned down, classic, not so loud about being different. It's not really about anybody else, it's about me." One of Frog's biggest inputs into how Ticwatch owners will use the smartwatch comes in the form of the Tickle strip, a capacitive strip along the stainless steel edge of the watch itself. It's a clever solution which really pays attention to how our hands approach a smartwatch worn on the wrist. The 1.5-inch round screen is still a touchscreen but Frog found that existing smartwatch owners were only reluctantly touching the screen of their device. The displays are often small and they are easily smudged, ruining the overall look. Like Apple with its Digital Crown, Frog explored ways to complement Mobvoi's voice recognition prowess. "We arrived at this idea of the Tickle strip," said Wessler. "This embedded capacitive strip which sits on the side of the watch that actually enables a lot of the basic, generic interactions such as zooming and scrolling and some of the penning interactions. We didn't get to a point where everything in the UI was enabled by the Tickle Strip but we actually got to do quite some work on the interaction design of the watch." Another big factor in designing a successful smartwatch for China was personalisation. Wessler and the team at Frog came to understand that in Chinese youth culture, unlike the more static loyalty in the US and Europe, fashion aesthetics can change day to day: "one day you could be a punk, the next modern". So while the default straps include genuine leather and an Apple Watch-esque Milanese Loop, supporting standard watch straps was also key. "We see that in the target segment for Mobvoi there is a lot more playfulness and flexibility in what type of persona they curate. People are a lot more playful and explorative in the flavour that they add to their own public persona, almost on a day to day basis, and Mobvoi's ads reflect that with users changing their watchface to match their outfit." Authoritative industrial design. A fresh and popular OS. Killer voice recognition. All well and good but how do you raise RMB 8 million - that's over $1.3 million - from 16,000 backers in 14 days? Mobvoi chose JD.com, a Chinese e-commerce site with a Kickstarter-style crowdfunding platform on the side, to launch the smartwatch and take pre-orders. JD is not simply a means to raise money, it partners with companies long term giving them access to expertise from a network of advisers and other entrepreneurs. It has even gone so far as to built its own smart home platform, JD+, which wearable tech and IoT manufacturers can join. Josh Gartner, senior director of international communications at JD.com told Wareable that more than 90% of JD crowdfunding projects have succesfully reached their fundraising goals. "Ticwatch was clearly one of the top performers, reaching a very aggressive target," he said. "Our crowdfunding platforms are still less than a year old, but we are delighted that there are already more than 1 million users on it and the number is growing rapidly. 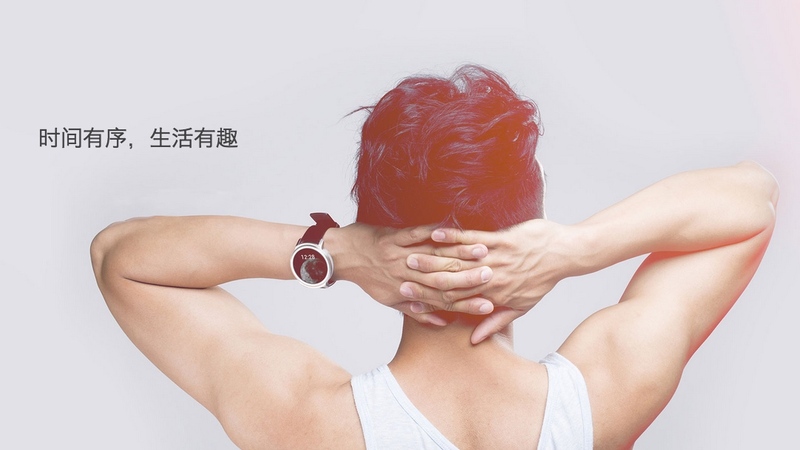 Wearable technologies like Ticwatch have seen tremendous excitement in China." There is always the rampant problem of copycats on Chinese sites. But JD is adamant that it stands for quality. "We carefully vet the entrepreneurs that come onto our platform," said Gartner. "But at the end of the day, we believe the best and most innovative ideas will win out in the market."